There are many ways that we can fund for our retirement. But the thing about these sources, they must be CONSISTENT and PREDICTABLE. No one would ever want a source that is going to fluctuate like a stock market. There are insurance products designed to ensure a regular income as early as 5 years from the start of the plan all the way for lifetime. 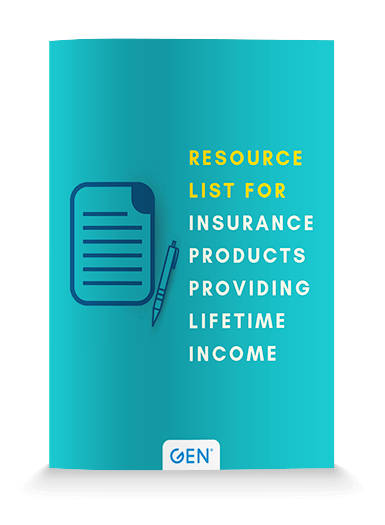 The download is a list of insurance solutions that you may consider for (or complement) your retirement planning for a lifetime income. This is a useful resource to help you identify the choices available.